Our first and most sought-after condom is the S.1 – “S” for “spermicide” and “1” for the very first in our growing series of unusual condoms. Kamyra S.1 condoms are coated with a special lubricant that contains the well-known spermicidal substance Nonoxynol-9. This organic compound attacks the acrosomal membranes of the sperm, causing the sperm to be immobilized. Many condom users regard spermicides as an additional level of protection and feel safer this way. 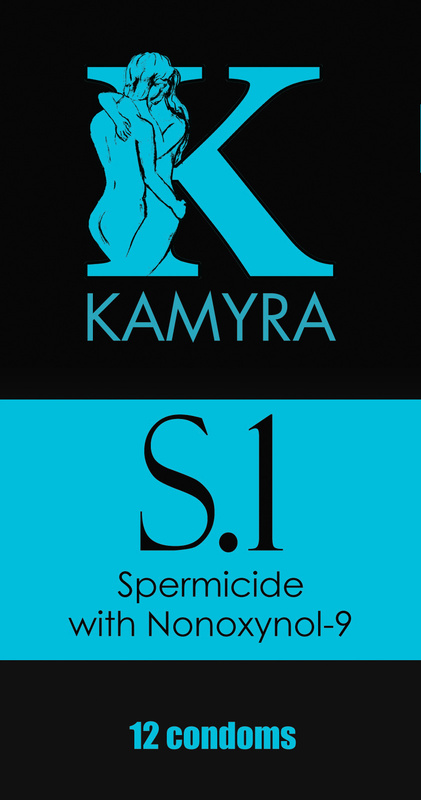 These images are free to use for all resellers of Kamyra condoms. 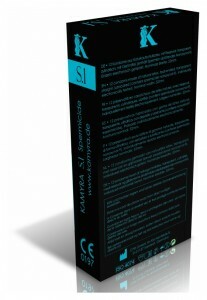 Their use is restricted, however, to the promotion, presentation and sale of Kamyra condoms only. They must not be used for other purposes without written approval by us. Click to enlarge images, or right-click and select “Save target as”.